Introducing our slickest design in MMA gloves yet. 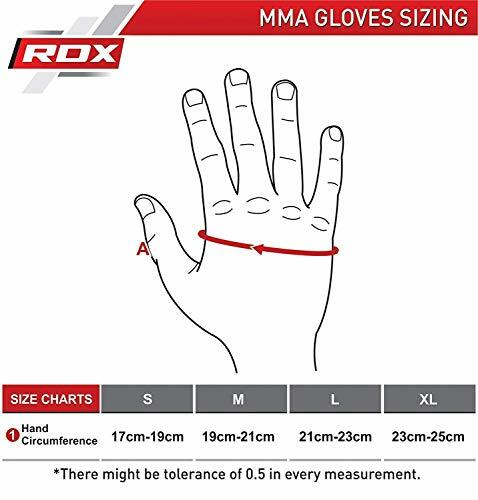 These grappling gloves are meant to mold around your hand for max comfort, support, and moisture ventilation. Open-hand design made using Cowhide leather durably coats the exterior, providing long-lasting life while protecting the highly compressed, thick, shock-absorbent center with a slab of Shell-Shock gel over EVA-LUTION padding. The Open-Hand design with perforations under the fingers offer a precise fit and ventilation from heat and moisture. 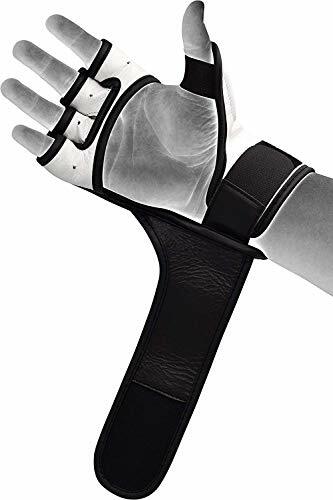 A special Leather mini cuff under the Quick-EZ Hook-and-Loop provides unprecedented wrist support, unheard of in other grappling gloves. 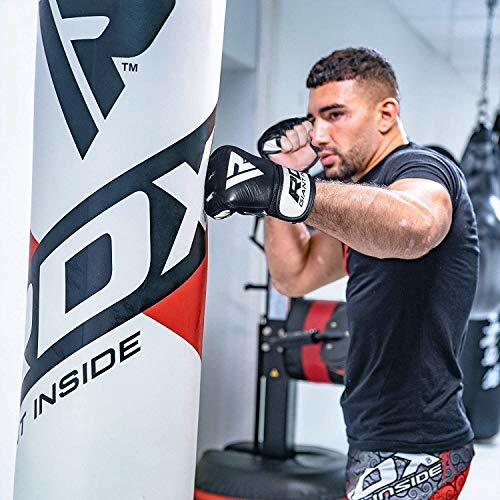 With a mini-slab of padding over thumb, you are promised complete overall hand protection and top-notch performance.【Authentic Cow-Hide Leather Construction】 RDX MMA gloves are strengthened with authentic cow-hide leather for superiority. 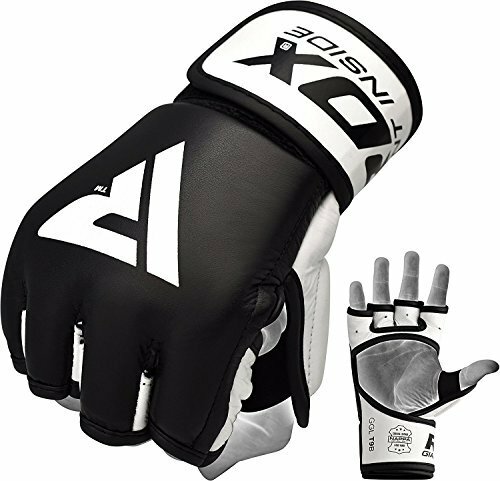 Our sparring gloves are unsurpassed and genuine cow-hide leather material perfectly assists in mixed martial arts, working out or grappling. The material quality delivers performance that will withstand nastiest of training sessions and will still last long with you. 【Shell Shock Gel Padding】 These sparring gloves are extremely compact and Shell-Shock gel padding provides optimum impact resistance. It guards the hands and gel padding in the inner segment of palm and thumb delivers robust impact absorption. 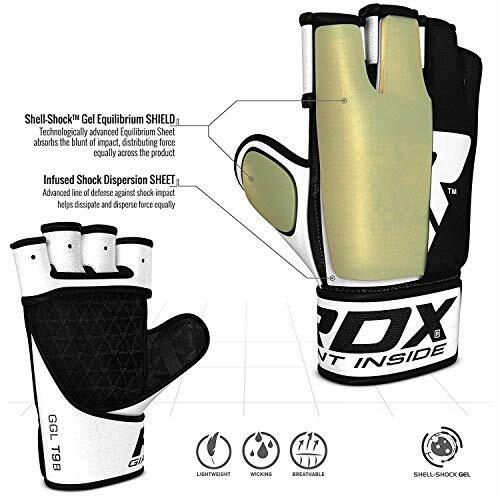 Highly compressed Shell Shock Padding, guarantees the supreme volume of force to be distributed through fine padding across the surface area. 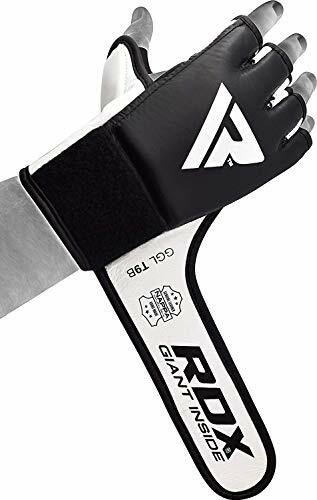 【Unique Open-Hand & Curved Finger Design】 RDX training gloves are built with anatomically curved finger design with gel padded fingers and open palm for natural grip against rod or bar. 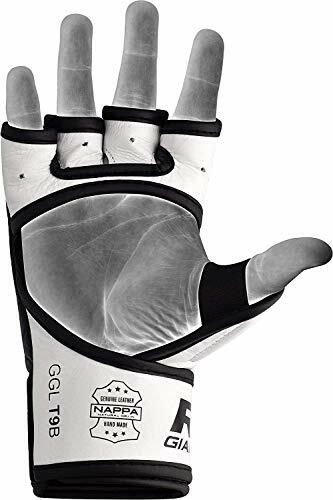 Cut palm is designed to promote airflow to keep hands ventilated and dry. These sparring gloves are prepared with breathable Pinholes in the finger segment that assists in hygiene adeptness and shrinks unpleasant aroma. 【Quick-EZ Hook-and-Loop Closure】 Our upgraded Quick-EZ hook and loop offers a comfortably snug fit and supports the wrists. Enriched mini strap under the hook and loop minimizes the probability of glove from slipping – reducing weak grip and injury prospects. 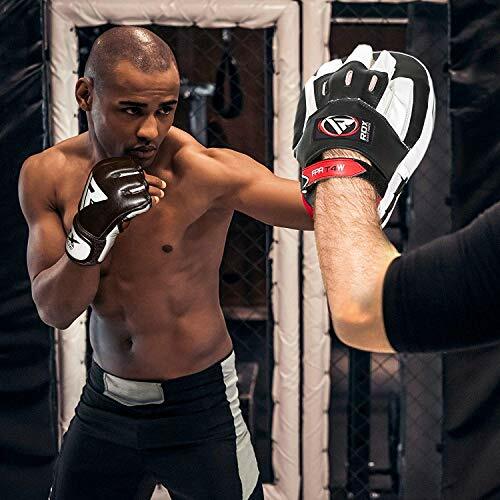 【Satisfaction Guaranteed】 Jump back in style with our newly designed MMA gloves. We thrive for excellence and hence our Professional Customer Service ensures your satisfaction. Start filling your carts.